Are you a storyteller? Do you have a point of view on diversity & inclusion in America today? 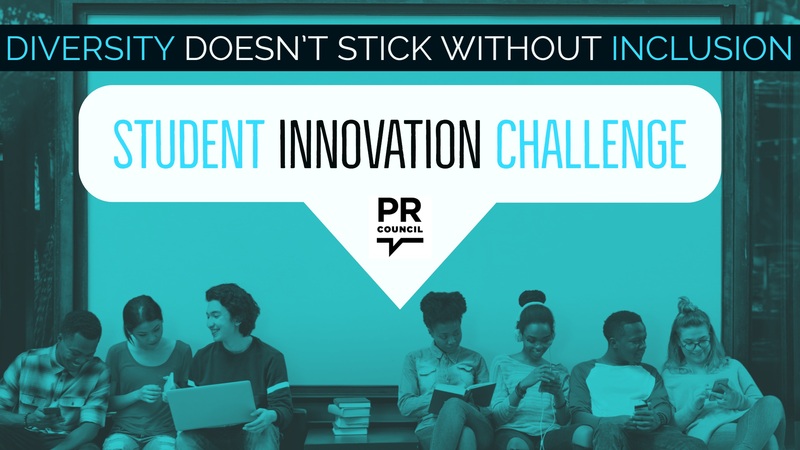 The PR Council’s Student Innovation Challenge asks current and recently-graduated students to create a video and communications campaign on the topic specified below. Submissions are reviewed by the PRC Board of Directors. The winning team will receive $1000, a trip to New York City and recognition in front of agency and corporate leaders at the Annual Dinner & Diversity Distinction Awards on September 27, 2018.